The fact that United Spirits Limited, which was a UB group company before its acquisition by Diageo, had provided financial support to other group companies is not a new revelation to the market. United Spirits Limited (USL) is again in the news. The company's board of directors in November last year instituted an enquiry into the firm's books for financial years 2010 to 2014. 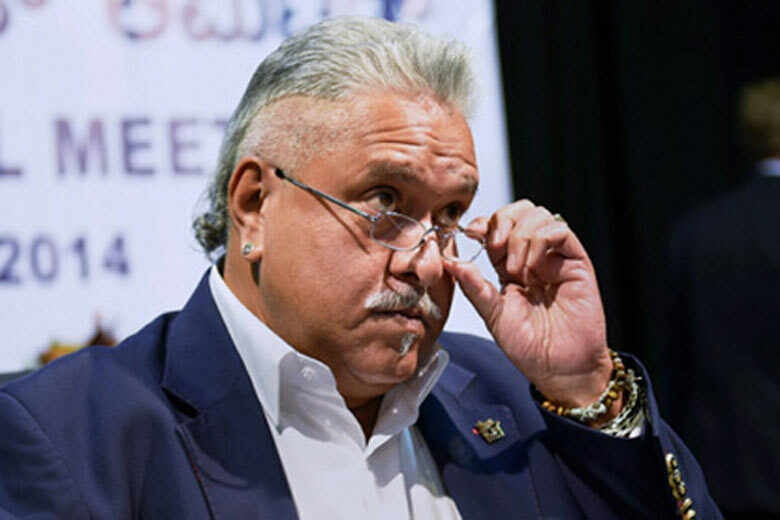 PricewaterhouseCooper (PwC)'s UK office, which conducted the investigation (forensic audit), has reported widespread irregularities, with funds being diverted to Mallya-owned UB group companies and to the now-defunct Kingfisher Airlines. As a matter of prudence, the company has provided for a loss of Rs 1,700 crore (Rs 17 billion) in the financial statements for the year 2014-15, as it might not be able to recover loans given to the UB group companies. The USL episode highlights some important corporate governance issues. The fact that USL, which was a UB group company before its acquisition by Diageo, had provided financial support to other group companies is not a new revelation to the market. There is nothing unusual. It is not wrong for a company to give loan to other group companies. However, as reported by the present management of the company, some of the transactions were entered into clandestinely to camouflage the full exposure of the company to other group companies. This is bad governance. It violates the principles of transparency and integrity. Business groups are managed with the objective of maximising the wealth of the group. Strategies of different group companies flow from the group strategy. This policy leads to maximisation of the wealth of the shareholders of the holding company. If the business group is a family business, the founding family is benefitted. Maximising the wealth of the group does not necessarily benefit shareholders of individual companies in the group. However, every company in the group benefits from the synergy, if any, among the group companies and from the group support during hard times. The need is to balance the group interest and individual company's interest when they are not aligned. This balancing act is challenging. Internal banking within a business group is a traditional and well-known practice. This will continue. The law recognises the same. Section 186 of the Companies Act 2013 permits inter corporate loan. It requires that the board of directors (Board) should approve, in a meeting, proposals to give loan to a person or body corporate, guarantee or security to a person or body corporate, or acquisition of securities of a body corporate, with the consent of all the directors present at the meeting. If giving of any loan or guarantee or providing any security or the acquisition of securities exceeds 60 per cent of the company's paid-up share capital, free reserves and securities premium account or 100 per cent of its free reserves and securities premium account, whichever is more, prior approval of the shareholders by means of a special resolution (three-fourth majority) is required. No loan should be given at a rate of interest lower than the prevailing yield of one year, three-year, five-year, or ten-year government security closest to the tenor of the loan. The Board has the responsibility to protect minority shareholders' interest by ensuring that the decision to give loan etc. is not prejudicial to the interest of the company. For example, if the cash available with the company is required to support the company's growth, parting with the cash is prejudicial to the interest of the company. Similarly, it is possible that the company has the borrowing capacity and therefore, it borrows to support its own activities and gives available cash as loan to a group company whose balance sheet is weak. In this case, the Board must ensure that interest rate attached to the loan is not lower than the borrowing cost. The Board should also appraise the creditworthiness of the borrowing company. The purpose of internal banking is defeated if the Board applies the same stringent norms that external financial institutions apply in appraising the credit worthiness. Usually a company with a weak balance sheet finds it difficult to borrow from financial institutions. This is true, the Board should not approve giving loan etc to a company survival of which is surrounded by huge uncertainties. For example, USL's decision to lend to Kingfisher Airlines was a bad decision that was prejudicial to the interest of the company. In most situations, the decision to provide financial accommodation to a weak company within the group is a tightrope walk. Independent directors should seek complete information and bring objectivity in deliberations over the issue. Is it appropriate to conclude that in the USL case the Board had failed to protect the interest of the company? There is no straight answer. I guess that clandestine transactions were never reported to the Board. Those were passed as routine transactions. Only because the loans have become non-recoverable, should one not conclude that the directors failed to act diligently while approving loans. Without going through the minutes of the meetings in which loans were approved, one cannot form a judgement. If minutes of meetings fail to provide rationale for the decisions, directors, including independent directors, might find it difficult to defend those decisions. Asish K Bhattacharyya is professor and Head, School of Corporate Governance and Public Policy, Indian Institute of Corporate Affairs; Advisor (Advanced Studies), Institute of Cost Accountants of India; Chairman, Riverside Management Academy Private Limited.